It is a well-documented fact that I have a thing for chipotle peppers. That smoky spicy heat is completely irresistible. When I ran across a recipe for a chipotle hummus last week, I knew I needed to make it as soon as I had the chance. 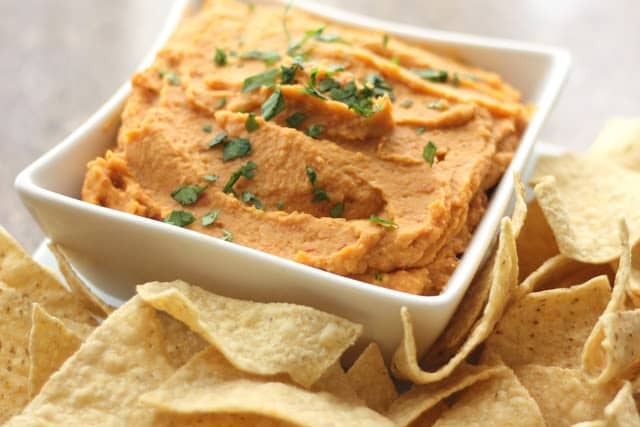 If you are a fan of chipotle and lime flavors, this hummus needs to be in your house very soon! 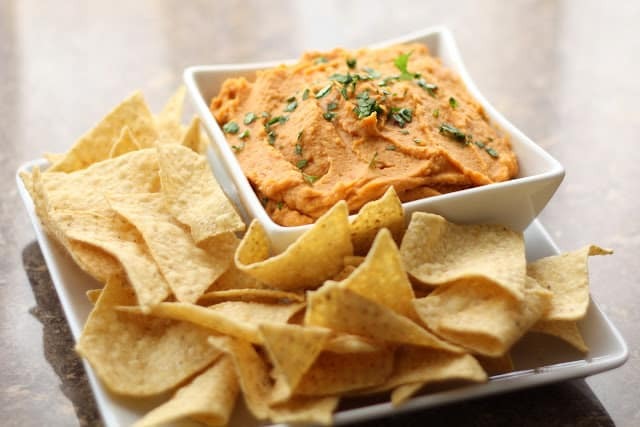 Smoky, tangy, slightly spicy, this hummus is going to be seen frequently in our future. Drain the garbanzo beans, reserving the liquid. Place them in the bowl of a food processor and pulse a few times. Add the garlic, chipotles, 1 tablespoon of lime juice, garbanzo bean liquid and salt. Run the food processor for just a few minutes, pulsing as needed, until almost smooth. Add the olive oil, 1 tablespoon at a time. Running to puree in between each addition. Taste and adjust the seasonings as desired. Add an additional tablespoon of lime juice for a tangier hummus. Add up to an additional tablespoon of the garbanzo bean liquid as needed to achieve the desired consistency. Store in an airtight container in the refrigerator until ready to serve. Sprinkle with cilantro just before serving. Serve with tortilla chips, raw vegetables or pita bread. Enjoy! I'm with you... I have this love affair with Chipotle peppers too! And if there is chipotle hummus on a menu, that is the one I order every time!! YUM! 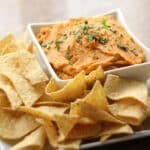 I have a thing for hummus and for chipotle peppers, so clearly I need to make this recipe. Thank you for sharing with me Mary! I love recipes like this - easy, healthy and FULL of flavor - perfect! This is great, I was just trying to come up with an interesting hummus, and I even have a container of just cooked chick peas waiting in the fridge. Chipotle and lime sounds fabulous! Hey have you tried dried chipotle? I used some last night, holy mother of Pearl that is spicy compared to the canned in adobo. Sounds like I need to get my hands on some of that! I bet it would be awesome in a Mexican spice mix. Thanks for the tip! This is making my mouth water…looks incredible. Pinning to try soon!!! I've kept it in the refrigerator for up to a week. It doesn't usually last that long though!